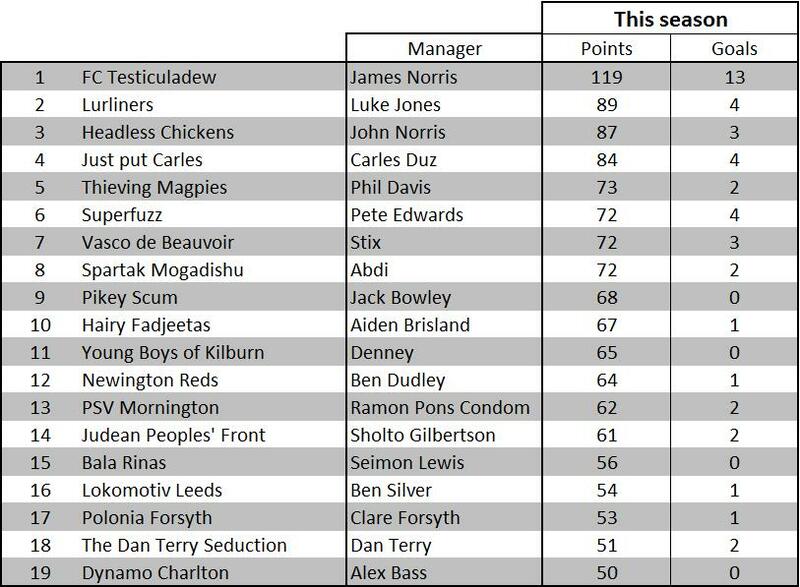 A record weekly total of nine goals saw FC Testiculadew lead the Kenna by 30 points. Edin Dzeko (4), Wayne Rooney (3), Jose Bosingwa and Clint Dempsey (one each) were so destructive for FCT they even put 8 (eight) past their own goalkeeper Wojciech Szczesny. With the international break upon us, the FCT boss also scooped August’s Manager of the Month award. “Obviously there’s a lot of pressure coming to manage in a world-renouned league like the Kenna, but like a game of pocket billiards, everything’s in hand,” said the FCT manager, while grimacing and demonstrating his similie in a post-match interview. There’s no beginner’s luck at the bottom of the table, where Dynamo Charlton have yet to find the net. “Goals are overrated,” said the Dynamo manager. Current champions Young Boys have also failed to notch. Spartak Mogadishu – Fabregas is already scoring in other leagues. There were 22 missed calls from Kia Joorabchian on the Spartak manager’s phone this morning. Vasco De Beauvoir – the manager’s been sleeping by the office fax machine for the last three weeks waiting for news of Wesley Sneijder. FC Testiculadew – Maicon’s not looking likely either, but the FCT manager isn’t sleeping by his fax machine. Pikey Scum – Brett Emerton has racked off, Bouncer, and will play the rest of the season Down Under. The Dan Terry Seduction – was not enough to keep Sotirios Kyrgiakos from going to the Bundesliga. If supporters are a team’s 12th man then songs are their devastating right foot. The Vasco De Beauvoir manager freely admits that his motivation for signing Sylvan Ebanks-Blake was the amusing terrace ditty he brings to the club. “He may only score in non-Kenna competitions and be out injured for a month, but the morale Sylvan brings to the club through the fans’ song cannot be measured,” said the Vasco manager, looking a long way away from their 2010 league and cup double. The Kenna wants to hear your team’s best player chant. Post a link below of an example of your chant in action. Next week the best five chants will be put up to the jury in the Friday Poll. The quick and crafty exploits of David Silva have Just Put Carles top of the table. Two goals and some busy assists from the Spanish playmaker have helped JPC to 63 points, but four goals in total from the team may be a mirage hiding problems to come. JPC’s Chamakh cuts a lonely figure up front, especially now that Spartak Mogadishu’s midfield has a Cesc Fabregas-sized gap. “Yarrrrrrr! That latino lilly-livered rogue be only good enough for keel haulin’,” said the Spartak manager, while locking Carlos Tevez in the brig at the club’s Spyglass Hill training facility. Meanwhile, the Newington Reds manager was quoted as saying he was “upbeat” about Samir Nasri’s future. However, with Ferdinand injured, Kolo Toure still serving a six-month drugs ban, the team second from bottom and Demba Ba up front, many are saying that optimism is all he’s got. One club already breaking out the champagne is PSV Mornington, off the bottom of the table for the first time since 21 September last year. “We drink cava, not champagne,” said the PSV manager. To view more data and individual player scores, download the spreadsheet on the right of the page under ‘Details’. Goalkeepers are spread around the Kenna quite evenly, with the exception of those from Arsenal. Despite last season’s wayward performances, two managers have opted for a Polish shot stopper. FC Testiculadew’s Wojciech Szczęsny has impressed so far, while Polonia Forsyth’s Łukasz Fabiański has watched from the bench. However, the unpredictable predictability of ‘the professor’ means that anyone could be brought in before the month is out. So who will score the most points by May? Sergio Aguero stole the show in the Kenna openers taking just half an hour to rack up 14 points. The Vasco De Beauvoir striker, nicknamed ‘Kun’ because of a JRR Tolkein-themed Elvish tattoo on his arm, scored two goals and provided an assist to Just Put Carles midfielder David Silva, who also netted. Despite picking up four clean sheets, champions Young Boys’ start was marred by reports of disciplinary problems at the club after the sending off of Gervinho and a booking for Kieron Richardson. Debutants FC Testiculadew’s strike force of Rooney and Dzeko hit the ground running with a goal each, and Lurliners midfield looks productive with two assists from Ashley Young and a goal from Fabrice Muamba. 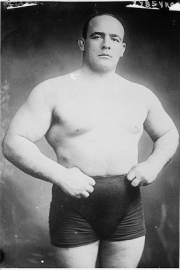 Having let in four goals already, Newington Reds goalkeeper Paddy Kenny could be even more exposed in the next six weeks now that Rio Ferdinand has picked up an injury. “Kolo Toure didn’t make the bench and Samir Nasri: will he ever play?” sighed the Reds manager. The boffins at HQ are working around the clock to have the league table ready for next week. 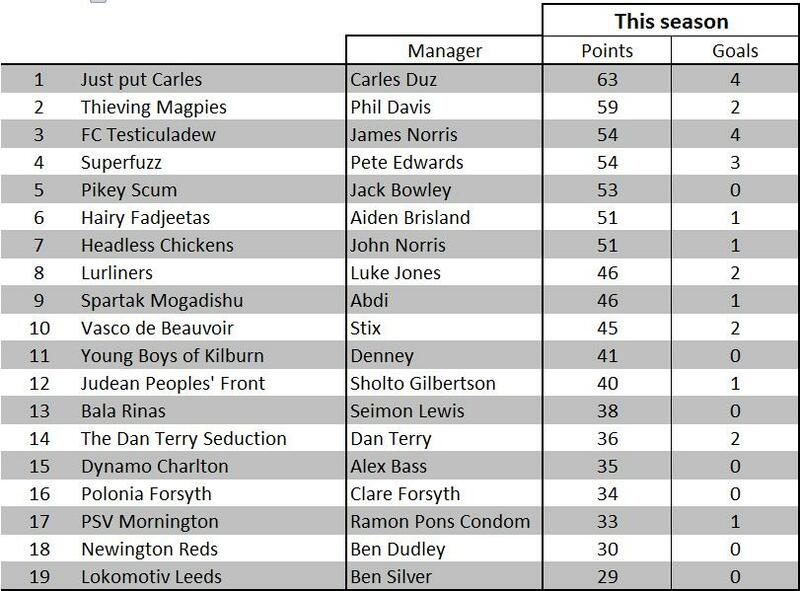 The Kenna winner will take home a whopping £152 if they’re top of the league in May. As a record-breaking 19 managers attended the auction the total prize pot stands at £380. Second place will scoop £57, third place £19 and the Cannestan Combi Cup winner £38. Each month the top-scoring manager will win £11.40. There are rumours of a potential discount to next entry fee for managers attending transfer windows. The Chairman said: “We’re glad to announce the record-breaking prize pot on the eve of the season, and we wish every manager the best of luck in their campaign. The Kenna is fast becoming recognised as the best fantasy football experience around.